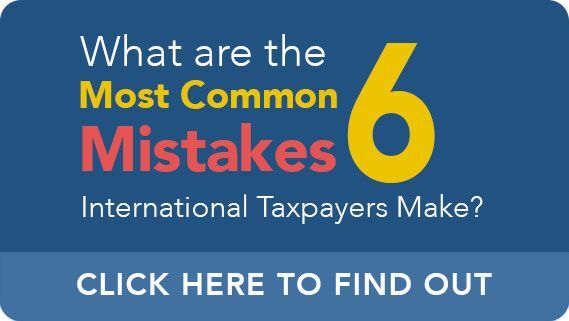 Taxpayers living abroad may face additional difficulties and inconveniences when they file their taxes. They may experience difficulties receiving correspondence and tax documents such as W-2s and 1099s. Other taxpayers living abroad may have real questions about how provisions in tax treaties impact their taxes and allow them to reduce the potential impact of double-taxation. Needless to say, the taxes of an expat living abroad can be far more complex than the taxes of a person living at home. Thus, there is a greater chance that an expat may receive a letter or other notice from the IRS regarding potential problems with one’s taxes. While you may believe that you have taken all steps necessary to protect against a letter from the IRS, the tax agency can send these letters for many reasons. In fact, some letters are merely informational and do not require any action on the part of the taxpayer. However, other notices may alert taxpayers to potentially serious issues that require immediate attention. Working with a tax professional such as Ted Kleinman at U.S. Tax Help can assist a tax payer in getting a handle on the situation they face. Ted can help an expat taxpayer understand what the IRS is asking about along with potential means to address it. To schedule an initial review, please call U.S. Tax Help at (541) 923-0903. When a taxpayer sees the letters I-R-S on a letter, their first instinct is often to panic. They may have already heard about the huge potential fines that can accompany an FBAR error and may fear that they forgot to include an account. Other taxpayers – even conscientious and meticulous taxpayers – may immediately fear the worst regarding a notice or letter from the IRS. In any case, the important thing is to avoid losing one’s cool, flying off the handle, or otherwise taking impulsive action. If you call and lash out at IRS agents, the agents may even view this as a potential sign of fraud. This could result in more intense scrutiny or trigger a full-scale tax audit. Once the initial shock of receiving a let from the IRS has abated, it is time to approach the issue methodically to gain an understanding of what you are up against. The good news is that not all letters from the IRS are bad. Some letters are merely informational and may not require any notice on the behalf of the taxpayer. However, other letters will alert the taxpayer to potentially serious issues that may require near the immediate action. One way a taxpayer can quickly orient him or herself to the general topic of the letter or notice is to look for a code that is present on every piece of correspondence sent by the IRS. This code will contain a prefix beginning with CP or LTR followed by a series of numbers. For instance, if you receive a letter with the code LT-11, you face a serious situation requiring immediate action. This is because correspondence LT-11 indicates that the IRS is prepared to levy your property to satisfy overdue taxes. If you wish to keep your property and protect against IRS collection actions, you will need to take timely action. In other scenarios, the need to take action may not be pressing or the information communicated to the taxpayer may not require any action at all. For instance, if a taxpayer receives a letter from the IRS with code CP05A, the IRS is reviewing your taxes and requires additional information to make a determination. Here, the taxpayer must send this information to the IRS in a timely manner, but receipt of a letter doesn’t automatically indicate that an issue exists. Alternatively, if the taxpayer received a notice with the code CP12, this indicates that the IRS made a change to your taxes due to a miscalculation. Here, the taxpayer may appeal the change or he or she may opt to take no action and simply accept the IRS’s change. Once you have identified the issue you face, it is time to take action and address the issue the IRS has detected. If your issue does require action on your part, it is important to plan carefully and consider the potential complications that can arise. While some tax issues raised by the IRS can indeed be handled by an individual taxpayer, complex tax issues involving the finer points of accounting should probably be left to a CPA or other tax professional. Working with a tax professional who is familiar with IRS processes can help a taxpayer develop effective strategies to meet a tax challenge. If you have received a letter from the IRS regarding a potential tax issue, it is essential to approach the issue carefully and strategically. The way you approach your matter can have real appreciable effects of the proceedings. Ted Kleinman of U.S. Tax Help can assist taxpayers with an array of tax issues. To schedule an initial consultation regarding your letter from the IRS, schedule an appointment today.